On September 3rd Simon & Schuster will publish The Case of the Six Watsons (see http://tinyurl.com/pcouonn) as a free Kindle book. 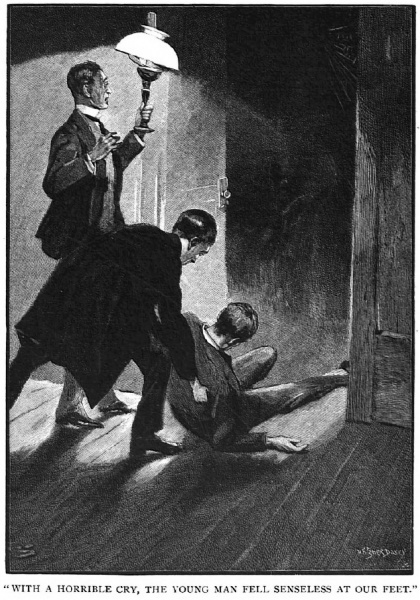 In it are five variations of non-canonical Arthur Conan Doyle Stories (such as The Lost Special), re-cast to include Holmes and (mainly) Watson. The sixth tale is entirely new and set in Cairo in 1915. But there is a seventh story, based on The Adventure of the Sealed Room by ACD. I did not include it in the anthology because I thought Watson (and the original narrator) too passive. He merely observes, rather than deduces. 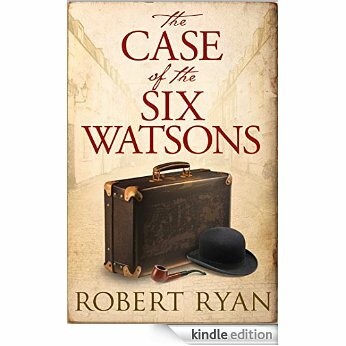 Nevertheless, it is quite a fun tale and I am including a PDF below for anyone interested in the style of the Six Watsons. The illustrations are by Claude A Shepperson. A widower doctor of active habits with a busy practice must take what exercise he can in the evenings. Hence it was that I was in the habit of indulging in very long nocturnal excursions from my rooms in Mortimer Street, up towards Regent’s Park and, on occasion, to Baker Street itself. This was during those years when my friend was missing, thought dead, and that street and our old address always brought on an attack of melancholia. So, where possible, to preserve my sanity, I stayed to the east of the park. It was in the course of one of these rambles that I first met Felix Stanniford, and so embarked upon what has been the most extraordinary adventure of those lost years which many now call The Great Hiatus. This entry was posted in Books and tagged Arthur Conan Doyle, Holmes, Short stories, Watson on July 2, 2015 by Robert Ryan.